A dining experience with Chef Tristin Rogers, who teamed up with Chef Josh Kennon from Fork and Fig, to create a menu reminiscent of spring, complete with drink pairings. Join us for an amazing dining experience at Story Lab Interactive. 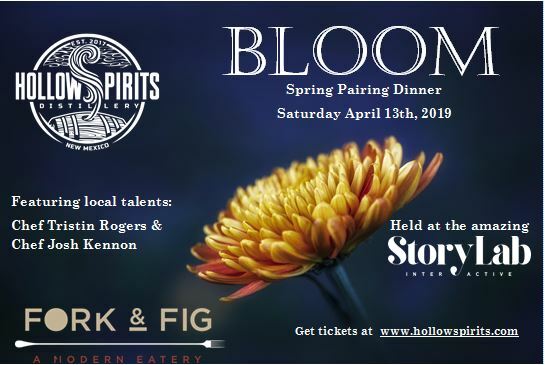 Chef Tristin Rogers is teaming up with Chef Josh Kennon from Fork and Fig to create a menu that is reminiscent of Spring, complete with drink parings! Only 30 seats available. Get your tickets today! Cocktail hour starts at 6pm and dinner starts promptly at 7pm. Tickets include gratuity.